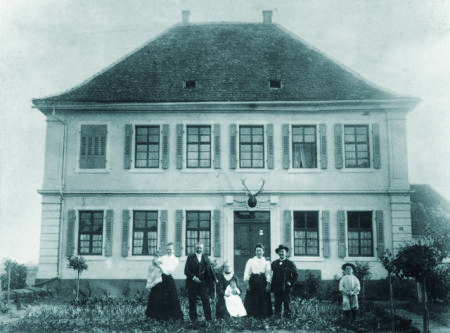 We are located in one of the optimal places to grow fine wines in the region of Rhineland Pfalz, which offers the very best wines to suite the tastes of our customers. Our vineyard spreads across approximately 13 hectares or 32 acres with 19 varieties of grapes. 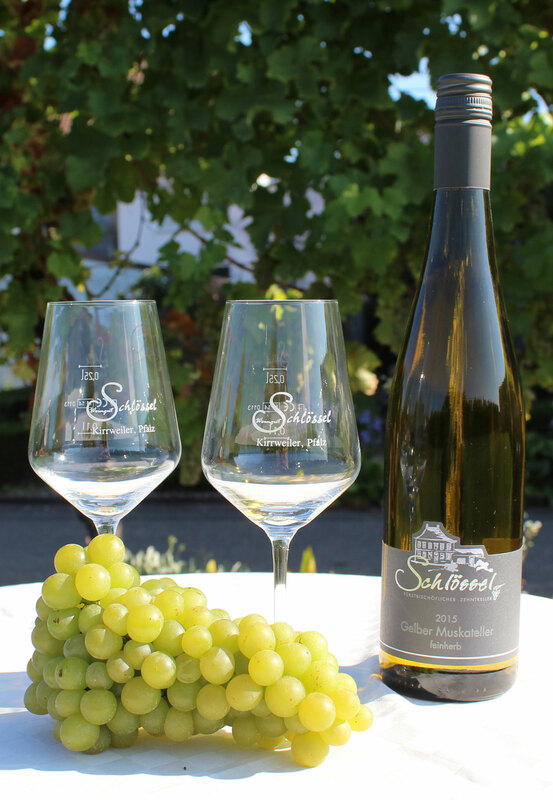 These vines are distributed in a 10 kilometer radius around and in Kirrweiler to create the best grapes for creating premium wines. The diversified terrain where the vines grow has a deviation of soil types mixed with small climate changes allowing for optimal conditions to grow our wines. 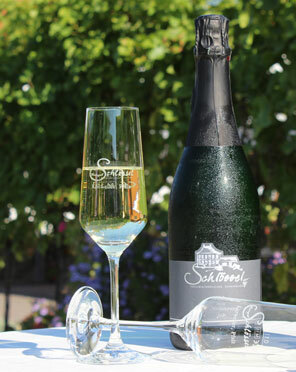 This quality allows us to create wonderful sparkling wines so our customer are offered only the best taste they deserve. We welcome you to visit out winery to get to know our wines and enjoy the scenery. Plan a wine tasting for small or larger groups all year long. Due to our working throughout the winery we ask that you give us a short call or email to let us know what you would like while we offer various types of platters or even catering should you like to have more with your wine. To make things even more exciting we offer a “rolling wine tasting” in our plan-wagon. This allows you to get a chance to see the vines and learn more about the area while tasting our wines. 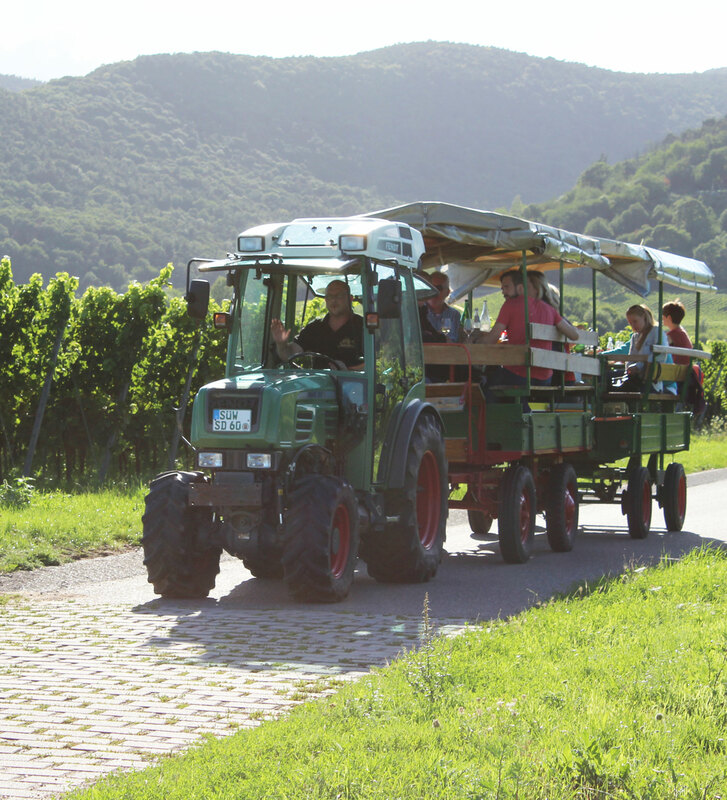 The wagon takes you into the hills where the vines grow in the area taking a path to see spectacular views. 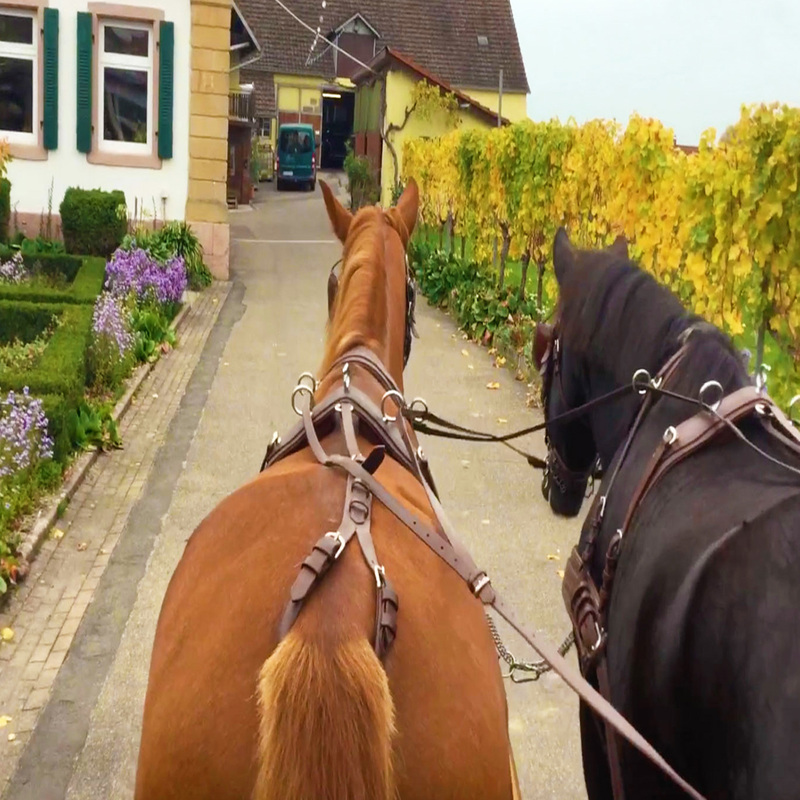 Enhancing the romance of our lovely winery can be done with a 2 horse powered ride in our carriage. Our “hunters carriage” allows you to sit and enjoy the ambiance of the area while sipping a wine of your choice along the way. 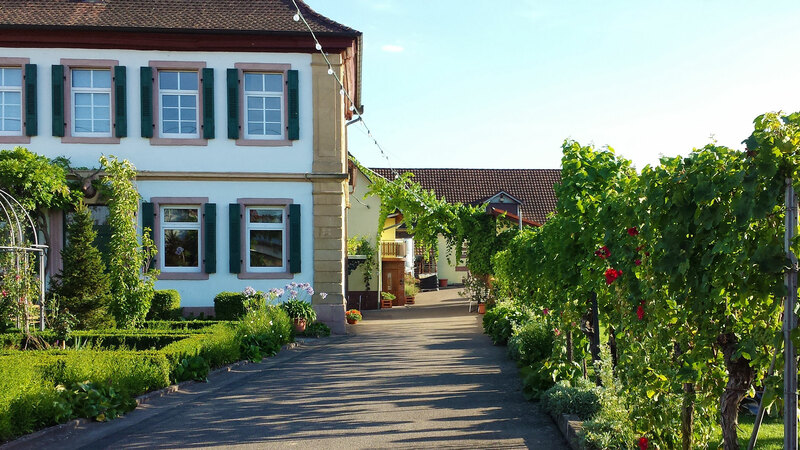 This is a lovely way to enjoy the vineyard and is for up to 6 persons. Should you have a special event you would like to celebrate we can always customize your experience, just let us know what you would like. Due to the popularity of the carriage ride we ask that you make a reservation early so your date is reserved. 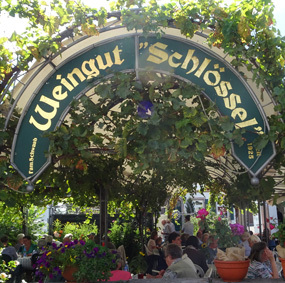 Throughout the Pfalz there are wine fests all year long and Kirrweiler is an address to keep in mind when thinking of what to do. The village has its annual wine fests on the first weekend of July and second weekend of September, so reserve the dates to come and visit our version of a festival here at the winery. Sit between the vines and dine from our selected caterers who bring along with them an enjoyable menu of wonderful food. 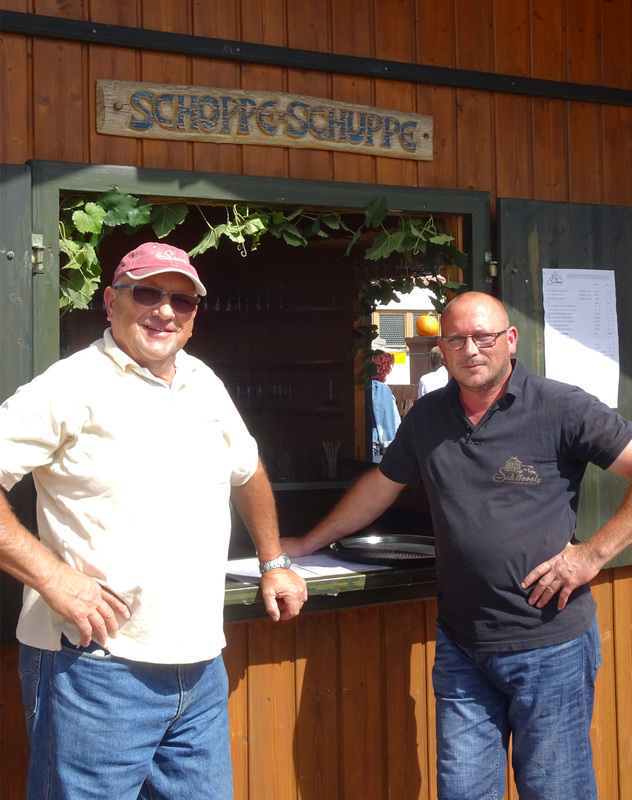 The “Schoppe-Schuppe” is open so you always have cold wines or something from our sparkling collection ready for you to enjoy. 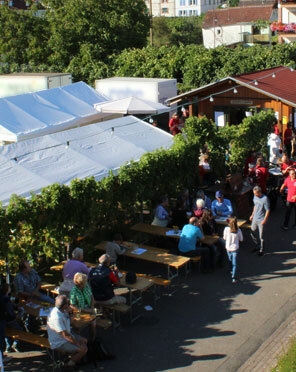 Please know that when the village has an event, Weingut Schloessel is also open for your visit. We look forward to having you as a guest at our winery.